Self-catering Manoir with 6 bedrooms and 6 bathrooms. Sleeps 12. Saturday changeover. Self-catering Villa with 3 bedrooms and 1 bathrooms. Sleeps 6. Saturday changeover. 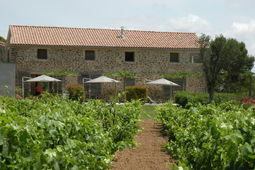 Self-catering Farmhouse with 5 bedrooms and 2 bathrooms. Sleeps 10. Saturday changeover. Self-catering Gîte with 4 bedrooms and 3 bathrooms. Sleeps 8. Non-applicable changeover. Self-catering Villa with 5 bedrooms and 2 bathrooms. Sleeps 10. Saturday changeover. Self-catering Villa with 2 bedrooms and 1 bathrooms. Sleeps 4. Saturday changeover. Self-catering Cottage with 0 bedrooms and 2 bathrooms. Sleeps 6. Saturday changeover. Self-catering Gîte with 2 bedrooms and 2 bathrooms. Sleeps 5. Saturday changeover. Self-catering Gîte with 8 bedrooms and 7 bathrooms. Sleeps 18. Non-applicable changeover. The village of Azille looks over vineyard-covered plains - to the Pyrenees in the south and the Black Mountain in the north. Steeped in roman and medieval history, Azille has survived centuries of prosperity and decline. The village is close-knit but welcoming, largely employed in the vines, creating renowned, Minervois wines. The daily rythmn of life is governed by the wine-making process - a single, late hailstorm can devastate the entire year's production and income! Increasing numbers of small local producers are choosing to produce quality, award-winning wines instead of sending their harvest to the local co-operative. A tour of the local, Minervois wine producers is the basis of a wonderful Languedoc holiday - learning techniques and chatting amiably over a glass of wine. Within easy reach of Azille are things to do such as the medieval, walled City of Carcassonne (25 km), Basilica of Saint-Nazaire (Basilique St Nazaire) (26 km), Canal du Midi (3 km), or Aqualand Water Park - Port Leucate (56 km) may appeal. See our directory above for more information and suggestions on places to stay nearby or you can jump straight to places to stay in Azille or take a look at real estate in Azille. If you have or are planning to visit Azille leave a suggestion using the link above, we would love to hear from you and other users will appreciate your knowledge. 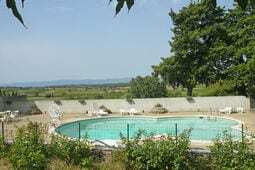 I you are looking further afield than Azille we have a great selection of accommodation in France and also property for sale in France if you require it. Alternatively you might consider Catered Ski Chalets France and Holiday Villas in France or Holidays Cottage In France. For more information on Aude in our guide to Aude or for the area as a whole we also have a comprehensive guide to Languedoc Roussillon, both of these resources will provide you with a valuable overview of the places you are looking at. Some of the common queries we have received from others related to visiting Azille in France include cottage south france, cottages south france, Holidays French Riviera.